Hi DIYers! Lately, we have heard reports of users having trouble enrolling their SiX Series Sensors with their Honeywell Lyric Systems. The problem has to do with Lyric Systems running older firmware versions that don't support the newer SiX Series Sensors with a newer MAC prefix. As you may know, Honeywell SiX Sensors are encrypted sensors designed exclusively for use with Honeywell Lyric Systems. These are highly secure sensors that use bi-directional 128-bit AES encryption for added security. They learn-in with a Lyric System using a MAC address rather than a Serial Number. This MAC address is very important for determining whether or not the sensor will work with the Lyric System. Older SiX Series Sensors had a MAC address that began with 00:D0:2D. If a SiX Series Sensor has this MAC prefix, then it will work with any Lyric System. However, SiX Sensors with this prefix are no longer manufactured. If you purchase a SiX Series Sensor today, it will most likely have a MAC prefix of either B8:2C:A0 or 8A:CB:A4. SiX Sensors with either MAC prefix will only work with a Lyric System that is running firmware version MR5 or higher. Honeywell actually never officially released updates for MR5 or MR6. Instead, they lumped those updates into the MR7 release, which is offered from Alarm Grid. Newly manufactured Lyric Systems should already be running the latest firmware, and they will be able to support the newest SiX Sensors. But if you have an older Lyric System that hasn't been provided a firmware update, then you might be wondering why your new SiX Sensors will not work with the system. Alarm Grid recently attempted to address this by pushing down firmware update MR7 to all monitored customers with Lyric Systems that weren't already running that firmware version or higher. If you noticed that your Lyric System suddenly rebooted at one point, that is most likely why. For more information about firmware update MR7, click here. 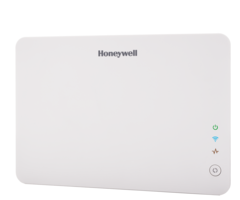 Thanks to this recent mass update push, all Alarm Grid customers with Honeywell Lyric Alarm Systems should now be able to use the latest SiX Sensors with the newest MAC prefix. Keep in mind that we can only push down a firmware update to our monitored customers. If you are not monitored with Alarm Grid, then it's possible that your Lyric is still running an older firmware version that is incompatible with the SiX Sensors with the new MAC address. In that case, you must upgrade the firmware to use these sensors. 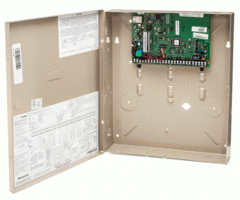 The only way to upgrade the firmware on a Honeywell Lyric Controller is to connect the system with the AlarmNet360 Servers. This requires alarm monitoring service. The firmware can be requested manually from the panel, or it can be pushed down automatically by the alarm monitoring company. But either way, you will need monitoring service to gain access to AlarmNet360. Since Alarm Grid is month-to-month with no-contract and no cancellation fees, an easy option is to just sign-up for a month of monitoring service with Alarm Grid. We can then push down and automatic firmware update to the system so that it supports the newest SiX Sensors. You also have the option of requesting a manual firmware update from the panel. If you no longer want to receive monitoring at the end of the month, you can simply cancel your service. By choosing our Self-Bronze Plan, this whole process will only cost $10. Signing-up for a month of Self-Bronze monitoring will offer additional benefits beyond just upgrading your system's firmware. You can also use this opportunity to active Apple HomeKit for the system. HomeKit is great for iOS users, and it will greatly improve your system's automation capabilities. You will also be able to try out the Total Connect 2.0 Service and gain remote access to your Lyric System. If you like the service, you can certainly remain as an Alarm Grid monitored customer for just $10 per month. Many users appreciate the fact that TC2 offers features and capabilities that are not available through Apple HomeKit. We invite you to reach out to us if you want to learn more about your options. The best way to reach us is to email support@alarmgrid.com. You may also call us at (888) 818-7728 to speak with one of our security system planners. We look forward to working with you! Hi DIYers! We recently made a post that compared wireless systems with hardwired ones. We ultimately concluded that most end users are better-suited with a wireless system. If you have decided that you need a wireless home security system, this buyer's guide can help you review the options. The Qolsys IQ Panel 2 Plus is arguably the most robust alarm system on the market today. Each version provides support for PowerG 915 MHz Sensors and a choice of one legacy sensor type (319.5 MHz, 345 MHz or 433 MHz). The PowerG Sensors are particularly renowned for their ability to be used from up to 2,000 feet away from the system in open air. This is also one of the few wireless all-in-one panels with the ability to display the live feed for Alarm.com Security Cameras right from its screen. The panel also includes a built-in LTE cellular communicator (AT&T or Verizon) and a fully functional Z-Wave Plus Controller. In fact, this is one of the very few systems where virtually no add-ons are needed. However, the IQ Panel 2 Plus is one of the more expensive wireless panels available on the market. But users will certainly appreciate its sleek, modern design and superb functionality. The system uses Alarm.com as its interactive service platform, and it can readily connect with the service. All versions of the IQ Panel 2 Plus can be seen here. You want the remarkable signal range that comes with PowerG Sensors. You want the ability to easily bring over existing wireless sensors (319.5 MHz, 345 MHz or 433 MHz) with your new security system. You want the ability to view your security cameras right from your panel. You don't mind paying top-dollar for an alarm system. 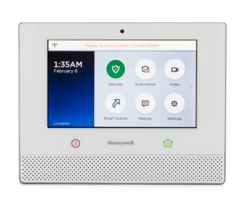 The Honeywell Lyric Controller is still the flagship HomeKit security system from Honeywell, and the time-tested company has once-again produced an excellent panel. The Lyric is perhaps the best system on the market today for use with Apple HomeKit. It can pair natively with HomeKit in order to provide all of the functionality that a user would expect with the feature. The Lyric System also has its own lineup of encrypted sensors, called the Honeywell SiX Series. Additionally, it is backwards compatible with the Honeywell 5800 Series. Another factor that separates the Lyric from other systems is its ability to be used with Total Connect 2.0. This service is designed exclusively for Honeywell Alarm Systems, and it offers similar functionality to that of Alarm.com. 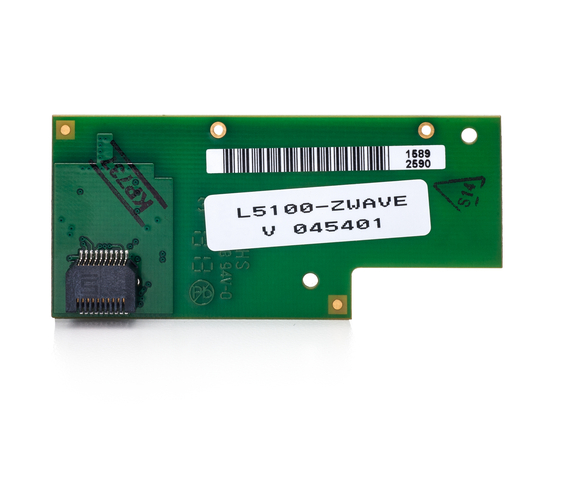 The system's built-in WIFI card allows it to readily connect with the service. One downside to the Lyric is that it only includes a Z-Wave classic controller as opposed to a Z-Wave Plus controller. While it can support Z-Wave Plus devices, they will only have the capabilities of Z-Wave classic devices when used with this system. Please note, a separate Lyric Cellular Module is needed for cellular connectivity. You plan to use your alarm system with Apple HomeKit. You prefer using Total Connect 2.0 over Alarm.com. You want to use encrypted Honeywell SiX Series Sensors. You don't require a Z-Wave Plus controller. The 2GIG GC3 just gave itself a major upgrade in the form of partitioning support. This makes the GC3 the first ever AIO wireless system to support partitioning. 2GIG refers to this feature as "smart areas", and the system on the latest firmware, and up to four of these areas can be supported. Beyond that, the GC3 is also highly regarded for its strong build quality. That's not to say the other panels are lacking in that department, but the GC3 is perhaps the sturdiest system we have ever worked with. Its touchscreen controls are extremely responsive, and its full-color 7-inch display is a joy to look at. The system can use 2GIG 345 MHz Sensors and Honeywell 5800 Series Sensors. One weakness of the system is that it does not support any type of encrypted sensors at this time. But it does include a built-in Z-Wave Plus Controller for smart home devices. Like the IQ Panel 2 Plus, the system uses the Alarm.com service. But the user will need to buy a separate GC3 cellular communicator to use ADC. You want a system with superb build-quality. You want to use the Alarm.com platform. You don't need encrypted wireless sensors. The 2GIG GC2 is our pick as a "budget" security system. We know that many people getting into home security will not need all of the advanced features that the state-of-the-art systems have to offer. That is where is the 2GIG GC2 comes into play. With the right support, it can still serve as an extremely viable option for many users. The panel features a 3.75" by 2.25" touchscreen with very responsive controls. This is considerably smaller than the 7-inch touchscreen displays of the other panels on this list, but it will work just fine for many users. The panel can support up to 60 wireless zones. Again, this is considerably less robust than the other systems, but it will be perfectly acceptable for most smaller and medium-sized homes. The system includes a Z-Wave classic controller for supporting smart home automation devices. In order to get the GC2 connected with Alarm.com, a separate GC2 cellular communicator is needed. Overall, if you're looking for a new security system at a reasonable price, you can't go wrong with the 2GIG GC2. You're shopping for a system on a budget. You want a simple, yet capable alarm system. You don't need support for as many wireless zones. You don't need a larger touchscreen display. If you still need help deciding on a wireless system, don't hesitate to reach out to us for support! You may email us any time at support@alarmgrid.com. Or you can call us at (888) 818-7728 from 9am to 8pm EST Monday thru Friday. We look forward to hearing from you! When one thinks of upgrading their security system, they would typically think of adding a new sensor to their setup. After all, it's sensors that a system uses to detect any important system events, such as burglary or fire. But often upgrading a communicator is even more important. Simply put, the communicator is what an alarm system uses to send outbound signals to the user and/or a central monitoring station. If the communicator fails, then the alarm system is nothing more than a local sounder. It will have no way of alerting off-site users or requesting emergency dispatch from a central monitoring station. Therefore, it's extremely important that the communication path used by an alarm system is dependable, reliable and gives the user peace of mind. For most users, an alarm system that uses cellular communication is the ideal solution. 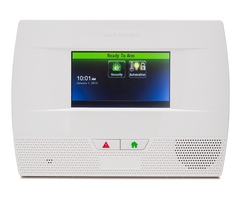 The Honeywell Lyric Controller is the flagship wireless security system from Honeywell. This system provides support for up to 128 wireless zones, and it can even work with the encrypted Honeywell SiX Series Sensors. 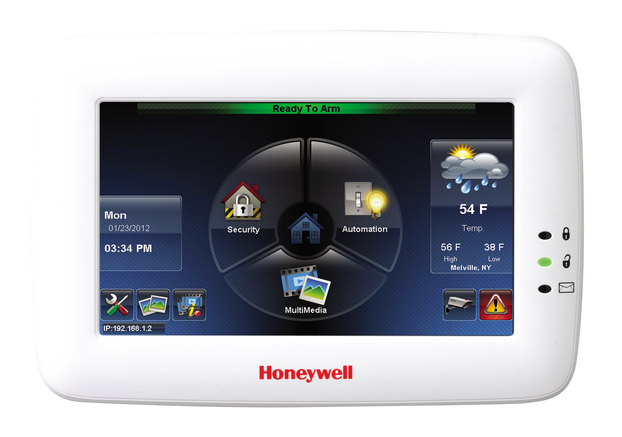 The touchscreen controller is extremely easy to use, and the build-quality lives up to the Honeywell name. Additionally, the system comes with a Z-Wave controller built-in for controlling Z-Wave home automation devices. Overall, the Lyric is one of the top security systems available on the market today. However, there is one issue with a fresh, brand-new, out-of-the-box Lyric. This problem is that the system does not have an integrated cellular communicator. Although there are Lyric Controller System Kits that come with a cellular communicator, the base version of the system does not have such a module. If no cellular module is added, the system will be forced to rely on a WIFI connection. This might not seem so bad at first. WIFI is extremely fast, and most people think of modern internet services as being extremely reliable. For that reason, many users make the decision to go with a WIFI-only setup for their Honeywell Lyric Controller. But going with a WIFI-only communication path can prove to be a major mistake. WIFI signals regularly go down, often for seemingly no reason. Additionally, a power outage of any kind will cause the WIFI service to go down, and a panel that uses a WIFI-only connectivity will be unable to send any outbound signals. This means that the property will be unprotected. But with a cellular communicator, this is occurrence is nearly impossible. Modern cellular communication is extremely reliable. It is not affected by power outages, and it offers users great peace of mind. For those reasons, adding a cellular communicator to a Lyric Controller is extremely important. Honeywell offers various cellular communicators for the Lyric System. Adding one of these communicators can be the single most important upgrade for a Lyric Controller, due to the fantastic reliability and consistency that it will provide for the system. And for users looking for a new communicator, we recommend choosing the Honeywell LYRICLTE-A. The LYRICLTE-A is currently the only communicator for the Lyric Controller that can connect with an LTE cellular network. Specifically, the LYRICLTE-A connects with the LTE network for AT&T. LTE networks represent the latest and most advanced cellular technology available, and they provide lightning-fast speeds and superb reliability. Plus, cellular service providers have promised that they will continue to support for their LTE networks for many years, even decades into the future. And with trusted service from AT&T, the LYRICLTE-A will ensure that the Lyric Controller is always connected and always protecting your property. It should be mentioned that Verizon also plans to release an LTE communicator for the Lyric sometime in the near future. But for now, the LYRICLTE-A and AT&T is nearly always the best option for Lyric users. With that in mind, we believe that the LYRICLTE-A is the single most important upgrade a user can make for their Honeywell Lyric Controller System. The level of reliability and consistency of cellular communication cannot be compared with by any other communication path. And with connectivity to an LTE network, users can be sure that their Lyric System will communicate as it should far into the distant future. An alarm system is only good if it can alert others in an emergency situation. A system that cannot communicate properly is a sitting duck. Even if a system has every sensor imaginable, it won't matter if the system cannot send a signal to the end user or a central monitoring station when it counts. With the LYRICLTE-A and cellular communication, a Lyric System will be able to communicate successfully every time. This makes the LYRICLTE-A the single most important upgrade for the Honeywell Lyric Controller. Don't leave your Lyric System unprotected. Upgrade your Lyric with the very best in cellular communication with the AT&T LYRICLTE-A.